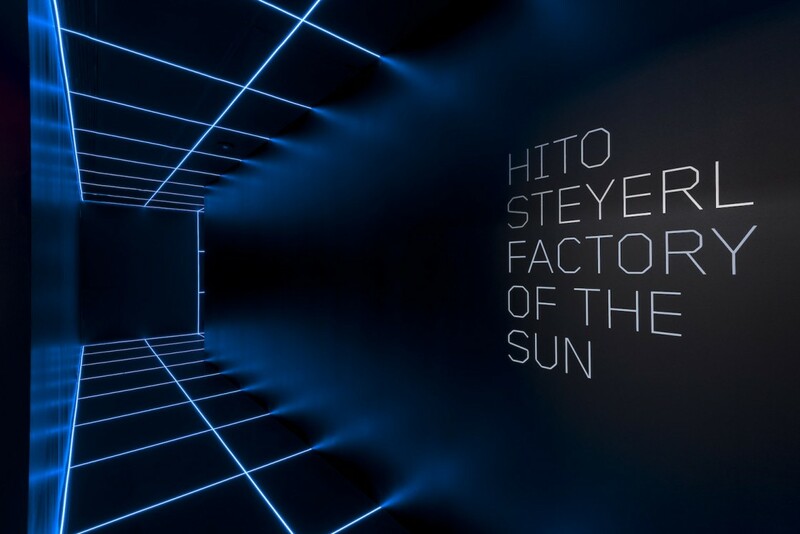 MOCA presents the U.S. premiere of Hito Steyerl’s landmark video installation Factory of the Sun. 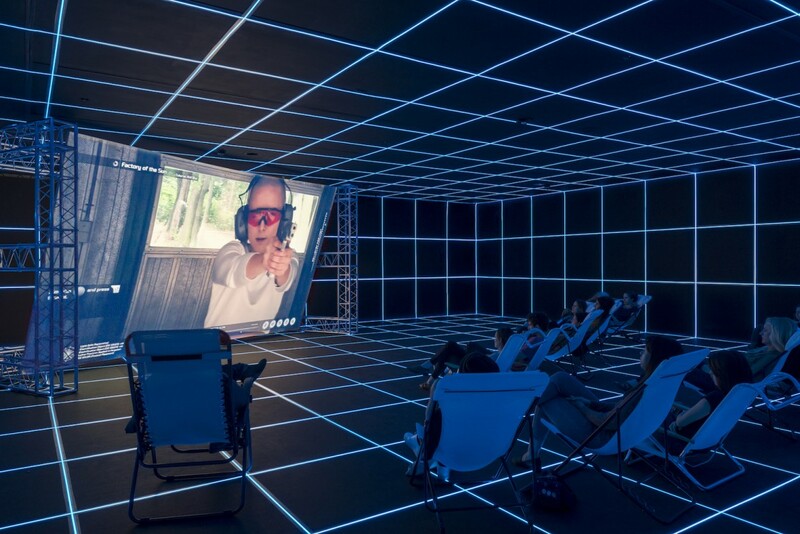 In this immersive work, which debuted at the 2015 German Pavilion at the Venice Biennale, Steyerl probes the pleasures and perils of image circulation in a moment defined by the unprecedented global flow of data. 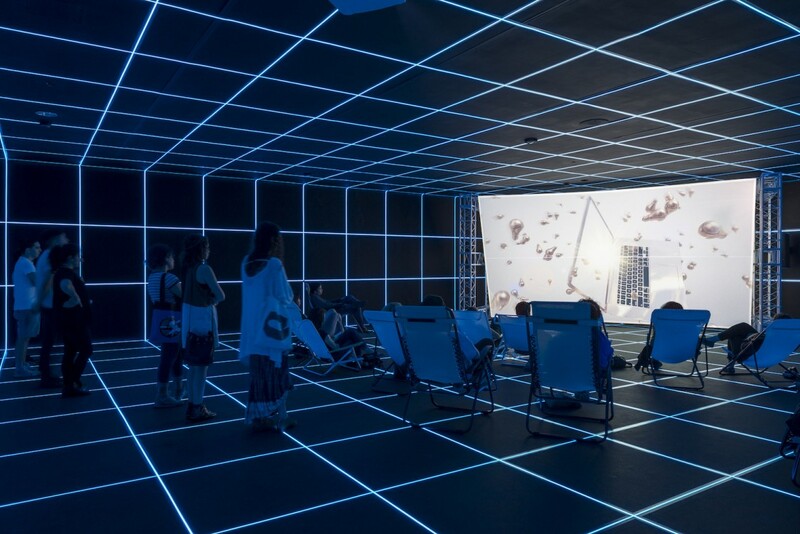 Ricocheting between genres—news reportage, documentary film, video games, and internet dance videos—Factory of the Sun uses the motifs of light and acceleration to explore what possibilities are still available for collective resistance when surveillance has become a mundane part of an increasingly virtual world. 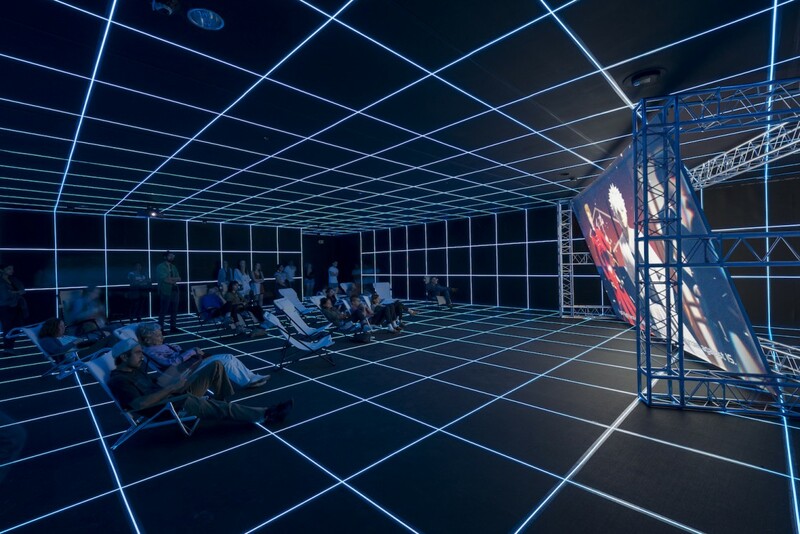 Factory of the Sun tells the surreal story of workers whose forced moves in a motion capture studio are turned into artificial sunshine. 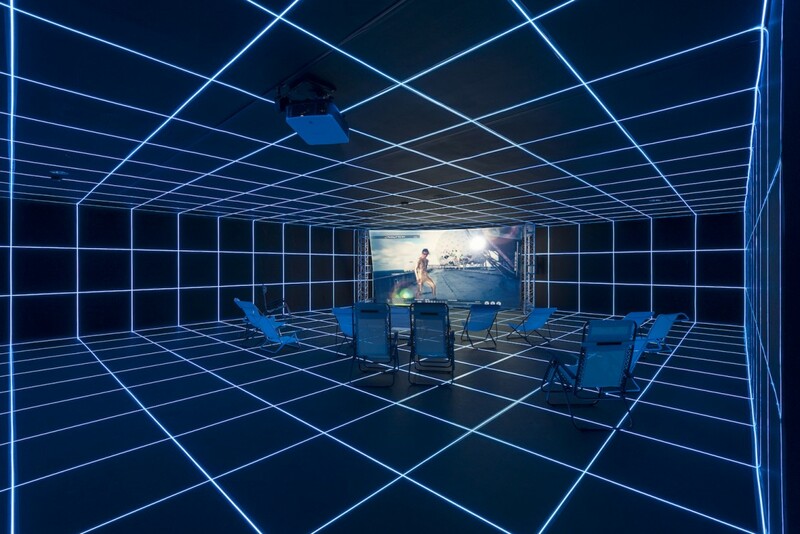 Hito Steyerl: Factory of the Sun is organized by MOCA Assistant Curator Lanka Tattersall. 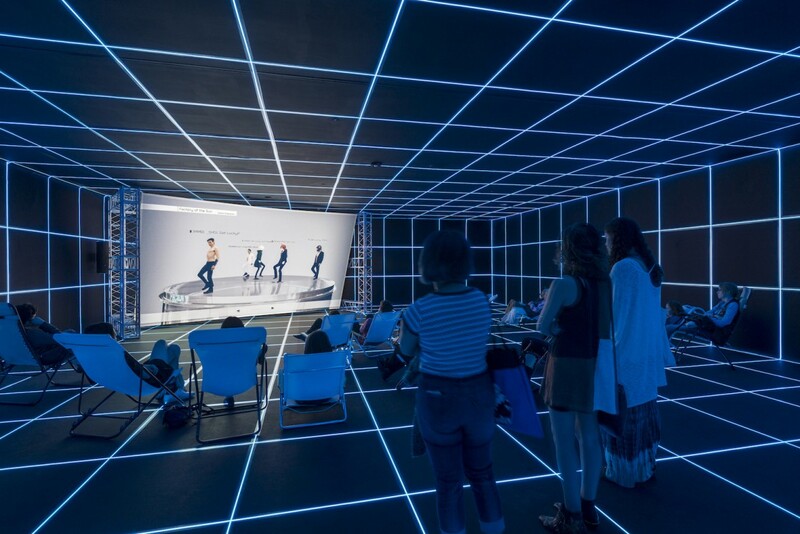 Ongoing support for all exhibitions at MOCA is underwritten by the MOCA Fund for Exhibitions including major annual funding provided by Hästens, generous annual funding provided by Thao Nguyen and Andreas Krainer.